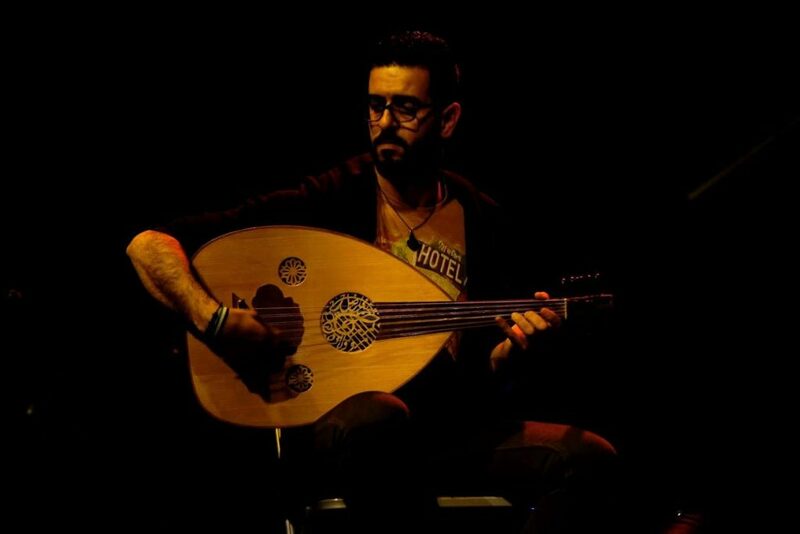 Alaa Zaitounah, was raised in Swaida, and inspired by his father, began playing the oud at a very young age. He first studied geophysics at the University of Damascus, and just before he completed his Master degree, he was forced to leave Syria because of the war. 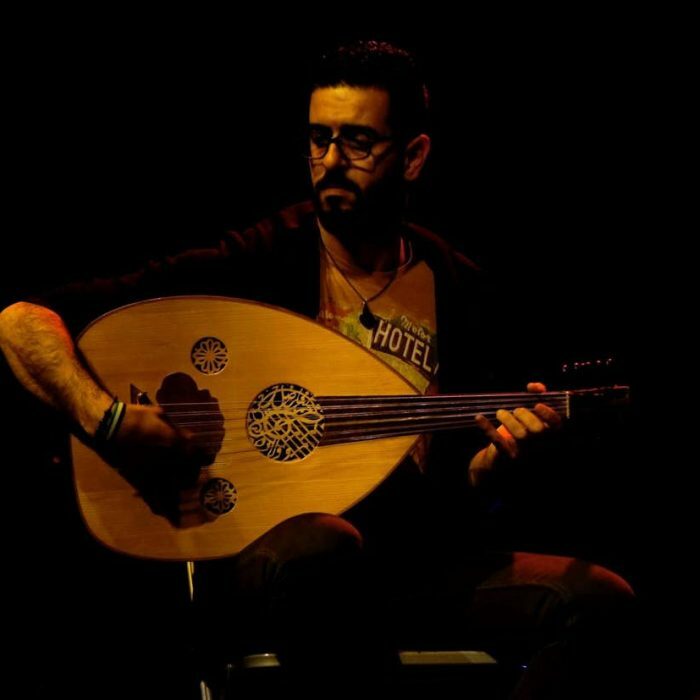 Alaa has proven the oud, an Arabic string instrument to be so versatile that he has performed in opera, rap, classical, oriental and choir music. 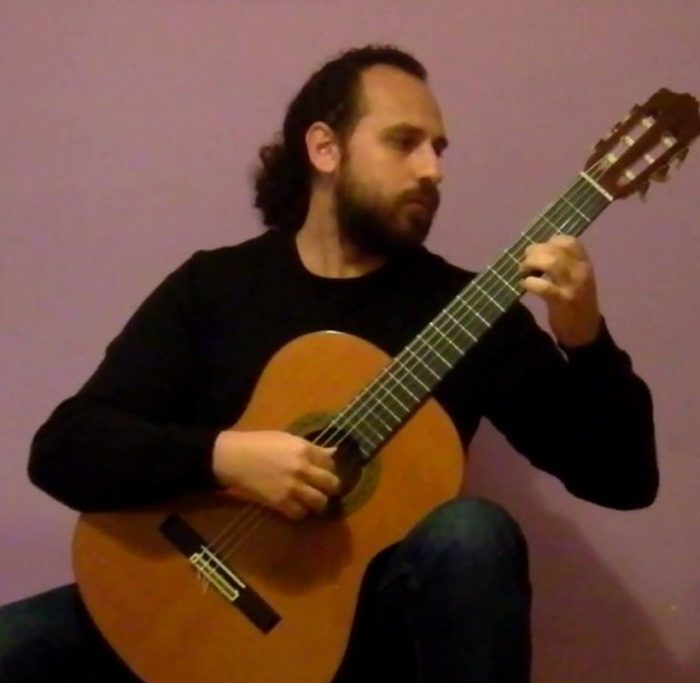 Before coming to Germany, Alaa was leading an oriental orchestra in Syria. 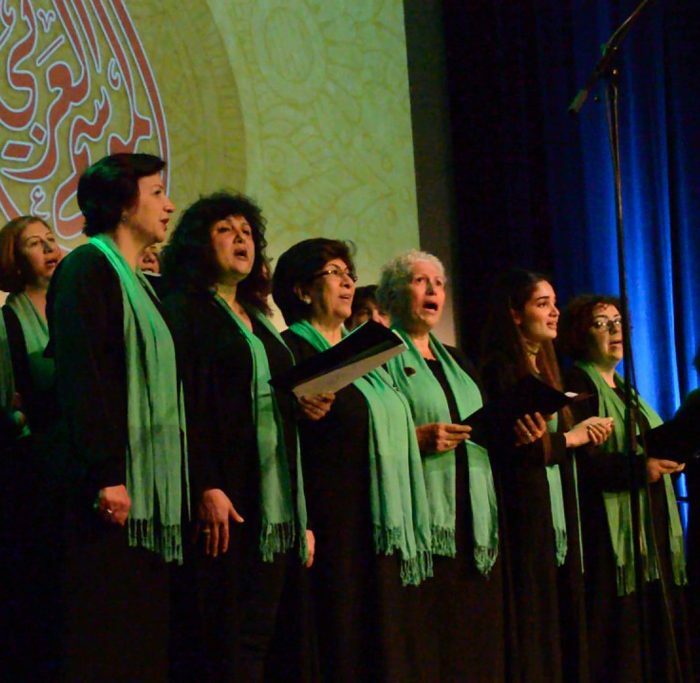 Upon his arrival in Feb 2016, he started the Begegnungschor (Choir of Hope), a choir founded to bring together people who have sought refuge in Germany. He also regularly conducts the orchestra of Dani Alor. As a founder member of the Musiqana, he also plays in many other bands in Berlin like Mazzaj Rap. and performs frequently in concerts throughout the city. One of his biggest performances to date was at the Berliner Philharmonie where he performed with his own band Musiqana. “Music is his whole world”, he says. “It breaks all borders, it unites the planet. If we returned back to the first being, where we couldn’t speak any language, we would only speak music. 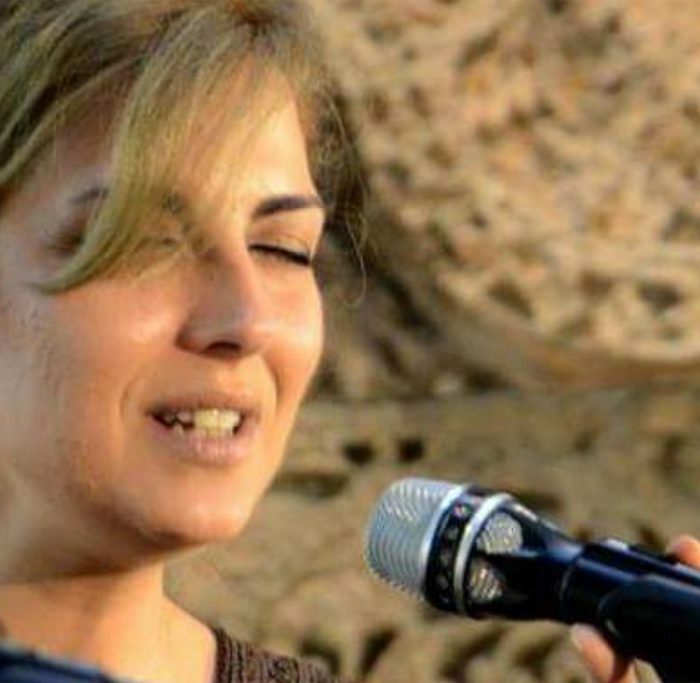 I don’t belong to Syria, Germany or to any place in the world….. only music can draw a perfect world”. Musiqana is a Syrian band formed in Berlin in January 2016, who play Tarab music, a popular kind of Arabic chanson which is popular in the Middle East. 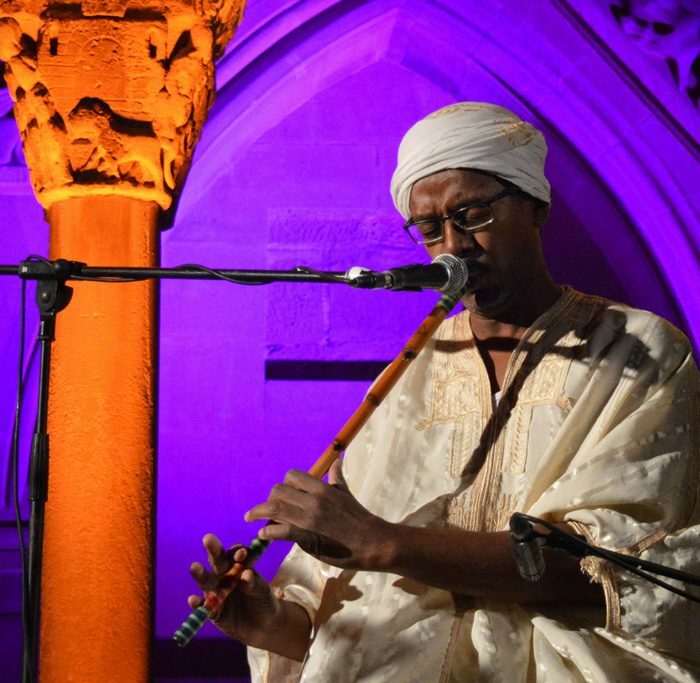 Musiqana’s live performances have been heralded as euphoric, uniting Arabic, German and English-speaking audiences with a mutual love of Tarab music. 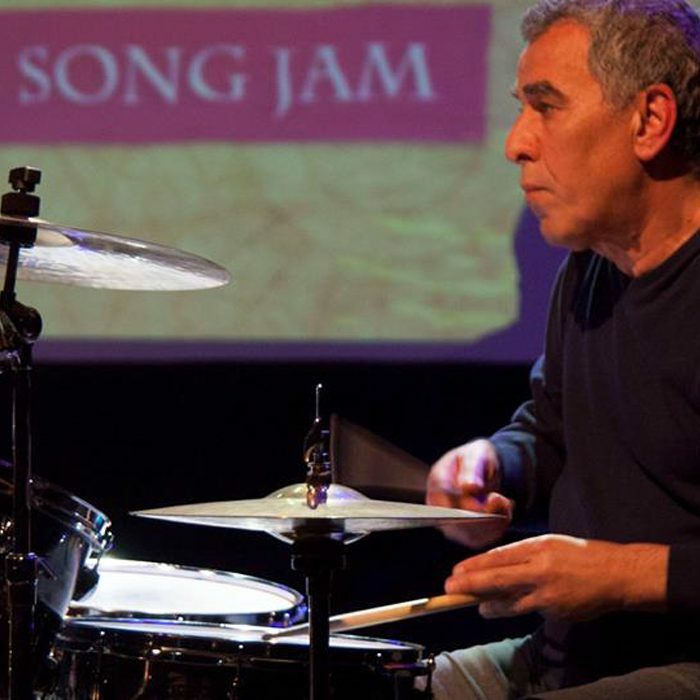 The band are icons to many Syrians who have found safety in Berlin. Not least because of the international press, including The New York Times, the Daily Mail or the Associated Press News Agency, which celebrates the band as “a symbol of the integrative power of music in Germany”. 26 concerts in the first year of their existence culminated in the sold-out lunchtime program at the Berlin Philharmonic and with the publication of their first CD, titled “El Helwa Di – Das Schöne Wesen” (The Beautiful Essence). Mazzaj is a politically conscious Arab rap band, originally from the city of Tartous, a Mediterranean coastal town in Syria. They recently performed their hard hitting East Mediterranean beats and Syrian rap live at Literaturmarathon in Moabit, Berlin.